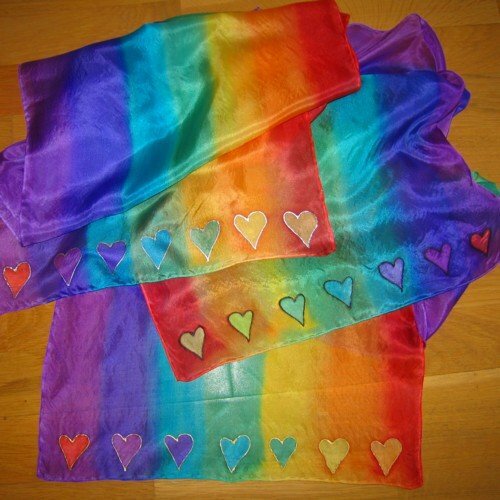 Chakra silk scarf seven hearts is hand painted with the seven main chakra colours. I paint silver coloured or gold coloured hearts at each end in contrasting chakra colours. 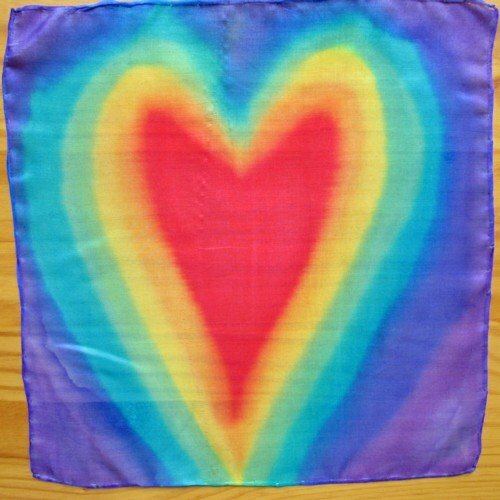 Your “chakra silk scarf seven hearts” measures approximately 150x40cm/59×15.5 inches in size. Because a lightweight, slighty shiny super soft silk is used, my clients love the touch and feel. Therefore, you will love wearing your “chakra silk scarf seven hearts”. Also, they make great gifts. 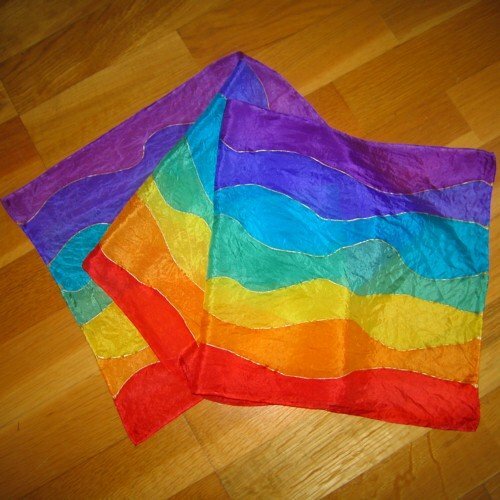 Furthermore, clients use these chakra scarves in hot stone beauty treatments, chakra healing, crystal, colour therapy, meditation, reiki and other holistic therapies. 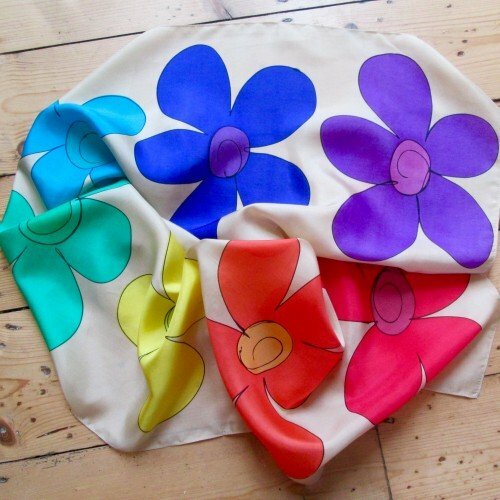 For that reason, this chakra scarf has for years been one of my best selling silk scarves. NB: If you prefer silver or black hearts painted on each end then just send me an email with your request. If not gold coloured hearts will be supplied. 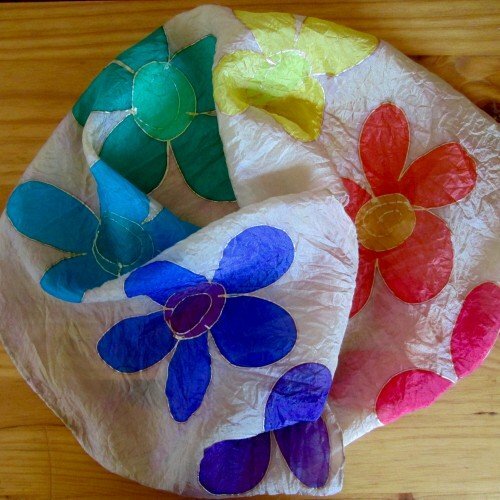 This is a beautiful scarf – the colours are rich and delicate. Very happy with the scarf and the delivery was prompt and completely hassle free. Thank you!